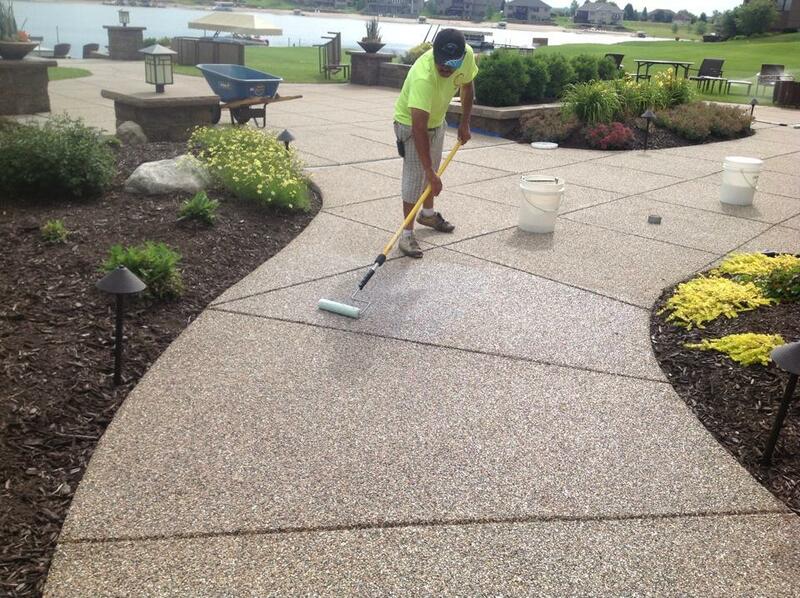 After 35 years in the industry, we know how to keep Lusterstone Driveway Resurfacing & Garage Floor Epoxy looking great! Homeowners can re-coat and touch up their Lusterstone. DIY materials and instructions are available. Our standard warranty is for 3 years. Our Extended warranty is 5 years with one Lusterstone re-coating during 3rd year. 10 year warranties available*. Ask for details. Power-washing is recommended annually and before most re-coatings. Re-coat Lusterstone after 2-5 years or when it becomes dull for best results. The epoxy holds the stone together. Driveways in direct sunlight need more maintenance than foot traffic areas on North side of home. Direct sunlight will burn off epoxy. Keep it shiny. Keep it looking great. Neglected Lusterstone will lose stone if not maintained properly, so protect your investment and enjoy your Lusterstone for many years. Our installations will last 20+ years with average maintenance. Just like an automobile: the better you keep it cleaned and maintained, the better it will look and last. Yes, through our referral program. Most Lusterstone customers offset the cost of the maintenance with our trackable referral program offered through our new Lusterstone App. Lusterstone can help you promote your new installation through Facebook & social media. We will post your before/after pics on our Facebook page. You simply copy and paste to your Facebook page and see them reply. That’s it! The average Lusterstone customers refer 2-3 friends/ neighbors every year. You should too! $50-$100 referrals can easily keep the maintenance cost low or even eliminate it altogether.